I’m always thrilled when I get to photograph couples in Zion National Park. I’ve been doing photoshoots and weddings in the park for about 7 years of my professional career and elopements are quickly becoming some of my favorite shoots there. 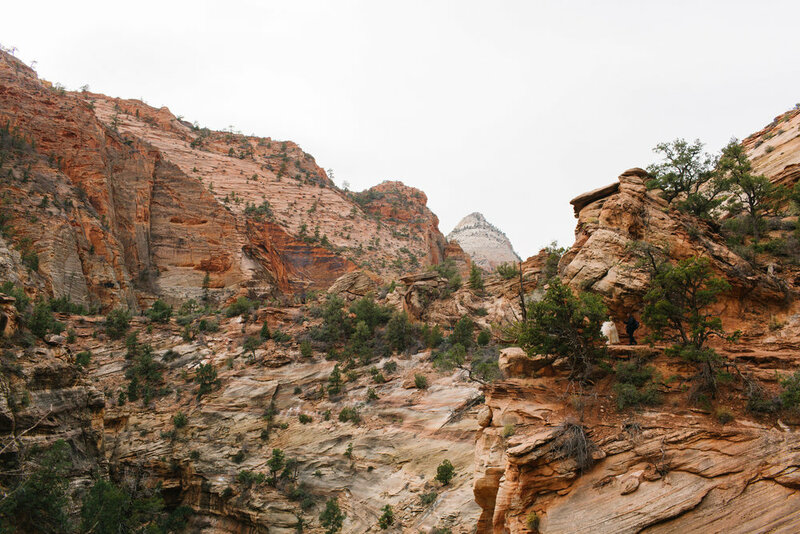 Musetta and Jurg contacted me about photographing their elopement in Zion National Park on Christmas Eve. That’s not normally a date I would schedule a wedding, but they had the coolest story and Musetta and I really connected over the phone so I said yes! 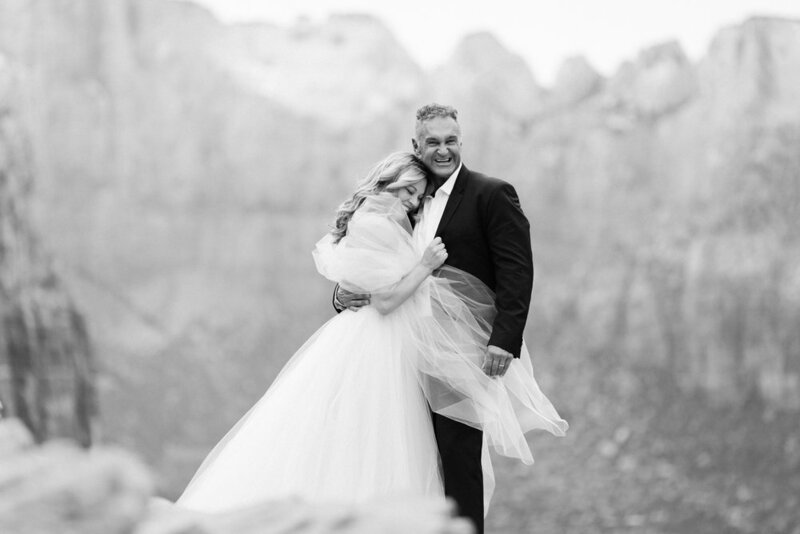 They are both from South Africa and knew they wanted to get married in Zion because it was such a special place to them. The story of how they met is pretty cool too. They went to school together when they were young teenagers but didn’t keep in touch as they grew up and went their separate ways. Years later, their paths crossed again when Musetta was living in the states and Jurg was in South Africa. 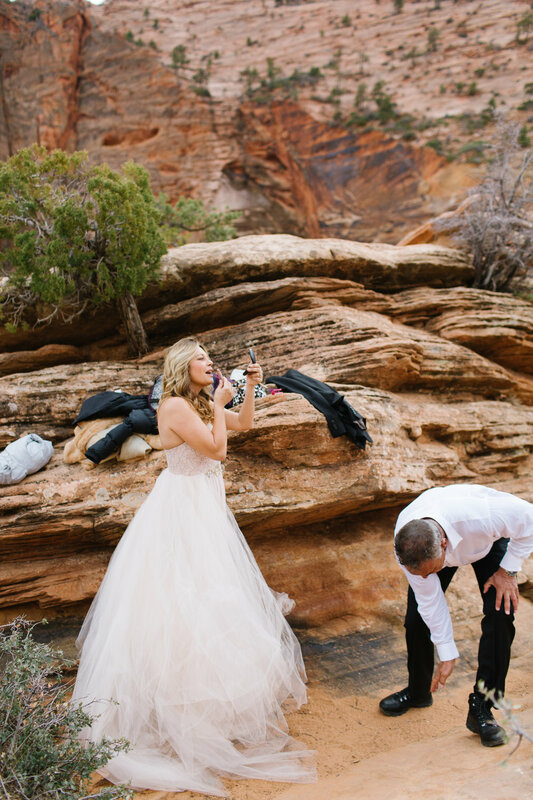 A year and half later and lots of traveling back and forth, here they are exchanging vows on a cliff in Zion! 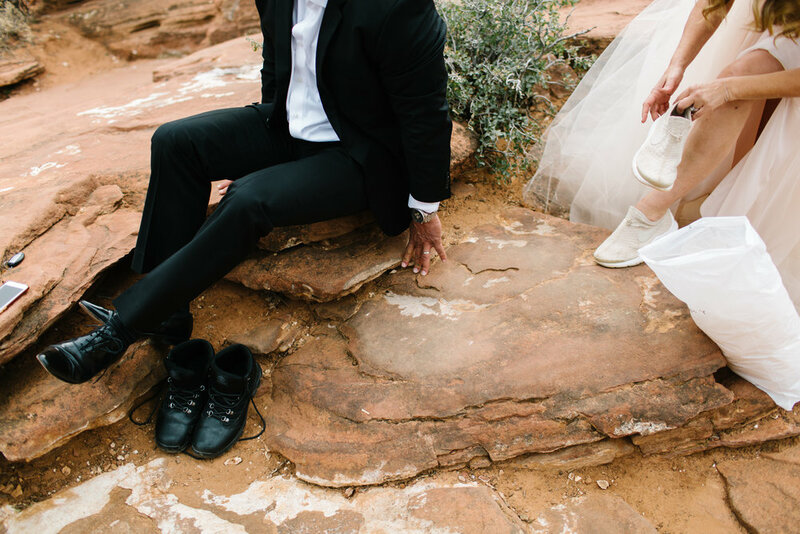 We trekked up Canyon Overlook Trail for their bridal photos on Christmas Eve, and waved to the tourists who shared well wishes and exclamations of wonder as the bride hiked around in her wedding dress. Turns out this is one of my favorite things about weddings in national parks- it’s so fun to see how delighted other people are for the bride and groom. It’s a wonderful way to feel connected as humans. We spent some time after the ceremony taking portraits at various locations in the park until the sun set. It was a beautiful evening. Congratulations to the bride and groom!